We provide a number of services to members, as well as to the general public, explore the menu links for further information on the specific items mentioned here. 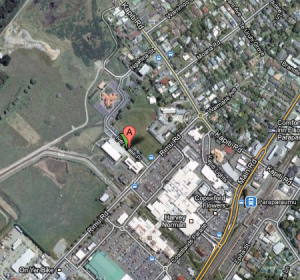 The main repository of our resources is the Alison Procter Family History Centre at the Paraparaumu Public Library. Every Wednesday morning from 10 am to 12 noon (except over the late December to early January break), volunteers are on hand to assist both members and the general public with their research, and provide guidance on using the resources. Additional sessions are held during the year at alternative times to cater for those who are unable to attend on Wednesday mornings. Each of our monthly meetings has an information desk by the door where you can find general assistance with your family history enquiries. This usually takes the form of guidance on where to look and how best to use information, as the emphasis is on getting members to gain confidence in doing their own research from home, from visits to regional research repositories and by using the Alison Procter Family History Centre. The use of computers and access to the Internet, has revolutionized genealogy research, making an increasing amount of reliable information available, particularly with access to original documents. For members who have hit a brick wall, the Branch offers a special service – Kapiti Gen-Forum. The Branch Research Officer will, given written evidence, endeavor to provide some leads to assist. The service requires a written application with relevant details. The application form can be downloaded from the following page. Is KGG Library catalogue on this site? I can’t find it.